Much like Rory himself over the four days, the appetite just wasn't quite there. His week finished on the ninth green, all the roars distant and, most probably, a little emptying. McIlroy, the pre-tournament favourite, was never a factor in the 83rd Masters, three rounds in the seventies rendering Sunday's closing 68 largely meaningless. Just a reminder of what he can do and, more pertinently, what might have been. Rory finished tied 21st, eight shots back on Woods and, truth to tell, never remotely close to working his way into contention. "My game is still there," he said afterwards, reminding us how he'd played the par fives in 11-under par for the week, a terrific stat, but bettered by big-hitters who were there to the end with Tiger like Tony Finau, Brooks Koepka, Xander Schauffele and Dustin Johnson. McIlroy's high error-count was the difference. Sixteen bogeys in four days reduced him to a footnote in this Masters, all that familiar pre-tournament talk of the career Grand Slam seeming ever so slightly tiresome now. 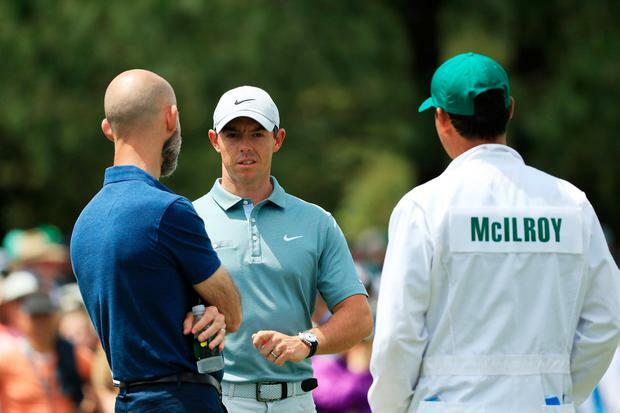 On Saturday, desperately needing a low score, McIlroy hit some awful, ill-conceived shots for a player of his calibre, his front nine lurching into a deeply frustrating mix of weak swings and bewilderingly bad decisions. He talked afterwards of "mud balls" making iron play difficult on a rain-softened course, but Finau covered that same, opening stretch in a six-under par 30 shots, just missing an eight-footer on the ninth to break Augusta's front-nine record. It's an accepted wisdom here that the course's real scoring opportunities present themselves once you step off the eleventh green. Yet Finau, Patrick Cantlay, Webb Simpson, Xander Schauffele and Rickie Fowler all made hay on Saturday's front nine. Rory, by contrast, reached the turn in two-over, 38 shots when - by his own estimation - he needed something closer to 33. He was out of position off the tee on two (par); essentially drove the green on three but took three shots to get down (par); inexplicably missed the sixth green left, despite a left pin position with everything falling from the right side (bogey); missed the seventh fairway left (bogey); missed the eighth fairway left (this time in trees) (par); flopped his approach to nine into a horrible bunker lie (bogey). It was scruffy, indifferent golf. 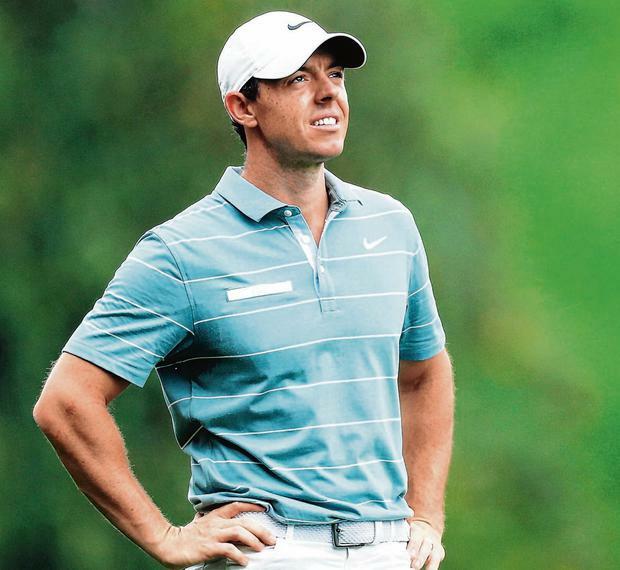 Every time McIlroy looked like getting momentum, he'd instantly relinquish it. Interviewed on Sky afterwards, he observed - completely unsolicited - that he hadn't "read anything". As if the golf world was consumed by an idea that some loose media comment might have gotten under his skin and been responsible for another lost Masters opportunity. The truth is that Rory himself seemed guilty of deepening the psychological challenge of chasing that career Grand Slam last week rather than - as he clearly intended - diminishing it. It seemed strange to see him on the range and putting with green with Dr Clayton Skaggs, the Jupiter-based chiropractor, performance coach and founder of the Central Institute for Human Performance. While most of his contemporaries had swing coaches by their side, Rory had Dr Skaggs. Now it's a relationship that didn't do him much harm in the opening months of the season, so it would be unfair to depict it as anything especially unconventional. But there was a distinct sense last week of Rory exploring the mental puzzle facing him at a US Masters a little too earnestly. Almost of over-intellectualising the process of staying calm. At the same time, someone like Koepka could reply "nothing, absolutely nothing" when asked on Friday evening to explain what he's been thinking on Saturday as Masters leader. There was a moment, walking down the fifth on Saturday, when McIlroy seemed to be almost in a private place. Having just birdied four and launched a huge drive, he marched almost 50 yards ahead of playing partner Marc Leishman and their two caddies, arms pushed out in front of him, palms facing the sky. It was the closest he'd come to front-nine momentum in the third round only to then bogey three of the next five. Three birdies and an eagle on the back nine would ultimately be spoiled by two more bogeys. That made it 14 bogeys in his opening three rounds. By Saturday evening, Molinari had precisely half that figure for his previous 162 holes of tournament golf. McIlroy's mistakes were coming in multiples then. Sure his 11 birdies and two eagles from those opening three rounds compared favourably with the leaders' assaults on par - Molinari 14 birdies; Finau 12 birdies, one eagle; Woods 16 birdies; Koepka 16 birdies, one eagle; Dustin Johnson 12 birdies; Ian Poulter 13 birdies. It was the other side of the ledger that looked ugly. McIlroy 14 bogeys; Molinari one; Finau three; Woods five; Koepka six, plus a double; Johnson four and Poulter four. Errors are inevitable in a high-stress environment and there's a sense that Augusta now presents McIlroy with a set of circumstance that is complicating things. For as long as he continues travelling to North Georgia in April, the career Grand Slam will be the context of his pursuit of the green jacket. Until and unless he wins one. McIlroy kept talking up the positives in his game last week and, no doubt, that will have been with Dr Skaggs' approval. Even on Saturday night, that was his message. That the tournament wasn't over for him, even though it's 29 years since anybody won from further back than fifth after 54 holes. He talked about the Augusta rough being "about a quarter or half an inch longer than it usually is" and it being "hard to get control of your ball out of it." Bad news for someone hitting fewer than 60pc of the Masters fairways. He stressed that his game wasn't lacking anything worrisome and that he would learn plenty from the disappointment. But the end of tournament stats would reveal a multitude: like a 25pc return from sand saves; like just 63pc of greens hit in regulation. McIlroy said that, given his time back, he'd now probably play the week before Augusta, given what felt a lack of sharpness in his game. And, asked had it been much of a let-down not to be a factor in the tournament, his response sounded a little practised. "Honestly it's ok," he said. "It seems like you guys are more disappointed than I am. I'm good." And he may, of course, be right. But, even through the worst of his troubles, it was hard to imagine those words ever falling from the lips of Tiger Woods.